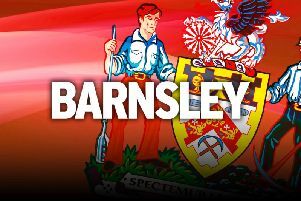 New signing Mike-Steven Bahre has admitted his surprise at just how big a club Barnsley is. The German midfielder made the move to English football from Hannover on August 31, beating the loan deadline by minutes to seal a season-long stay at the Tykes. Bahre was not quite aware of what he was getting himself into after swapping the Bundesliga for League One. But he soon realised the stature of the club after playing two matches in his first week. The Checkatrade Trophy is seen as an inferior competition, yet 433 Reds made the trip over the Pennines on a Tuesday night to see Bahre make an impressive debut in the 2-1 victory at Oldham. That was followed by his home bow at Oakwell, where the 23-year-old played 90 minutes of the 1-1 draw with fellow high-flyersWalsall in front of a crowd of 11,468. He said: “I’ve been surprised! "This is a much bigger club than I thought. It’s not like the third league in Germany, this is a very competitive division with some big clubs and quality players. The major reason behind Bahre’s arrival at Barnsley was Daniel Stendel, who managed his compatriot at previous club Hannover. Stendel was appointed Reds head coach in June and immediately identified players to strengthen his side as he attempts to lead the club back to the Championship at the first attempt. Bahre was among them, eventually becoming their fifth summer signing, and he believes the familiarity with Stendel’s style of play will get him up to speed quicker. “It’s been my wish all summer to come here,” he added. “As soon as the manager came to Barnsley, he told me he wanted to take me with him. He’s a big reason for my decision to join the club. “It took some time to make it happen because I did pre-season at Hannover (his former club) and they weren’t sure if I should leave. The Reds will welcome back Adam Davies and Kenny Dougall from international duty as preparations for their League One game at Coventry step up.